Durras Lake is one of the most pristine lakes in NSW and is part of the Batemans Marine Park. 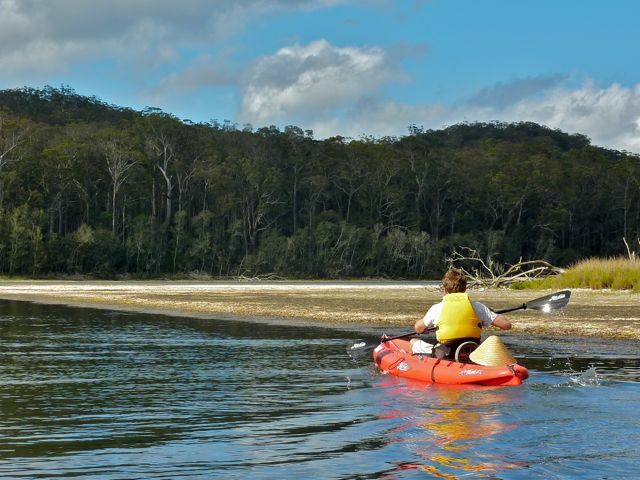 No visit to Durras North is complete without exploring the lake by kayak or bushwalking. 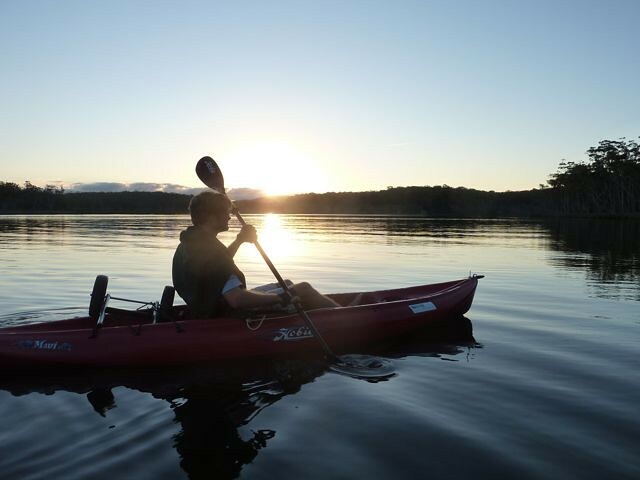 If you don’t have your own kayak, we have a kayak rental service available. 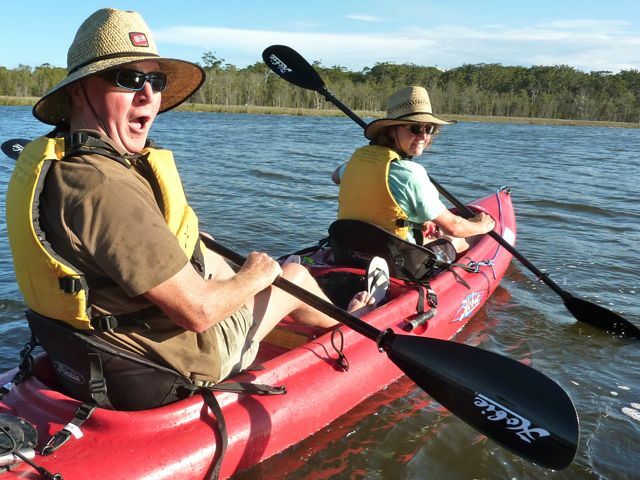 Don’t be concerned if you have never paddled a kayak before. It is not difficult and full instruction is provided. 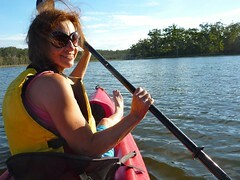 These kayaks are the “sit on” type which are ideal for beginners. 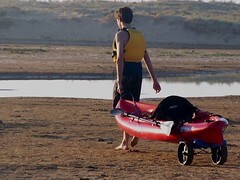 There are two sorts: Single or double kayaks. The doubles also have a space for a small child to sit in between the two paddlers. We are fully licensed with NSW Maritime (Licence #HD0541). For your safety, we provide PFD’s (personal flotation devices), comfortable seats, paddles, dry bags and a set of wheels to make it easy to walk your kayak to the lake edge. The kayaks are for use on Durras Lake only and are not to be taken out onto the ocean or elsewhere. Kayak hire is subject to conditions. You will be kayaking experts in no time. 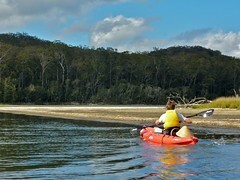 Explore Durras Lake by Kayak. Eurobodalla Tourism offer a Kayaking & Canoeing in Eurobodalla Brochure which provides detailed information on 17 flatwater and sea kayak routes in Eurobodalla. 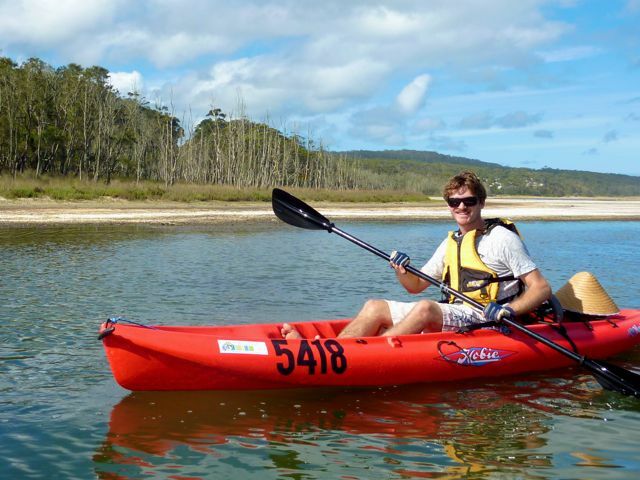 Click here to download the Kayaking & Canoeing in Eurobodalla Brochure (3.48 MB PDF).